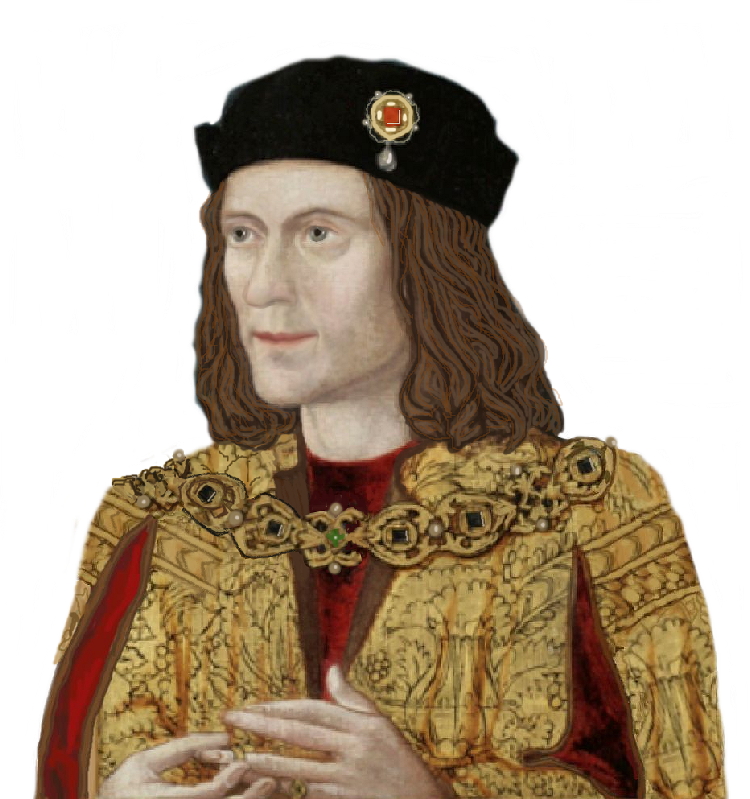 When people think of places connected with Richard III, they sometimes think of Northamptonshire due to his birthplace at Fotheringhay…but seldom of the town of Northampton itself. However, the town, although having lost in grandest medieval structures in two devastating fires, still has features of interest to Ricardians, Wars of the Roses students and medievalists. It was a highly important place in the Middle Ages, though declining in fortunes after the Black Death, due to its strategic location. St James Abbey: At the foot of the former lift-testing tower known as the Lighthouse, once stood the important Abbey of St James. The scallop was its symbol, denoting an affinity with pilgrims on the way to the shrine of St James de Compostela in Spain. In his will written before his execution at Pontefract Castle, Anthony Rivers mentions this abbey; apparently he had taken some land from the monks and was trying at the last to make amends. The abbey was completely razed in the Reformation; modern day archaeologists could only guess at the plan when excavated. Over 250 burials were discovered, some high status. Northampton Castle: Now the site of the railway, the castle was once a great royal residence. Several parliaments were held here. Henry II came face to face with Thomas a Becket in the castle and uttered his famous line, ‘Who will rid me of this turbulent priest?’ King John stayed here while buying a pair of boots from the town’s famous cordwainers. By Richard’s time, the castle, like many others across England, was beginning to decline and was being used more and more as a prison. It is unlikely he stayed in the decaying pile when, as Duke of Gloucester, he arrived in Northampton in 1483, expecting to meet Rivers and Edward V.
In 1662 much of the castle was demolished, though some parts remained as a gaol. Some earthworks and masonry survived into the 1860’s but the coming of the railways saw those scant remains razed. All that remains today is the postern gate, no longer in its original position, and earthworks on either side of St Andrew’s Road. One of these mounds does contain chambers that were excavated then refilled for preservation. St Peter’s Church: Standing near the castle, St Peter’s is a fine medieval church, built around 1130 by Simon de Senlis II, and a happy survivor of the great fire. It is situated near the site of a Saxon royal palace, and inside is a large Saxon coffin lid decorated with a Green Man. Norman arches abound and the capitals of the pillars are heavily decorated with foliage, scrolls, and beasts. One carving shows a man being swallowed by amonster, perhaps representing Jonah and the Whale. All Saint’s Church: Passing further into the town, medieval street names appear such as Gold and Silver Street and the Drapery. The central church in town is All Saints or All Hallows. The original medieval church was destroyed in the Great Fire of Northampton, leaving just tower and crypt; the present building dates from around 1680. It was the largest church in town and thought to be where the Barons swore oaths to Henry I to support his daughter Matilda as Queen. One lord who swore the oath was Stephen of Blois; he ended up taking the crown for himself, and the country was plunged into civil war. There was also an incident when a thief and murderer was wrongly ascribed saintly miracles at his tomb within the church…a riot ensued over it and swords drawn in church before the St Hugh of Lincoln halted the fracas by leaping on the tomb and waving his crozier. The Market Square: The churchyard of All Saints was originally used for market trading; this expanded into the present Market Square after Henry III forbade the use of the churchyard. It is one of the largest Market Squares in England and here in 1469 William Herbert, Earl of Pembroke, and his brother Sir Richard were executed by Richard Neville, Earl of Warwick, after the battle of Edgcote. It is probable that this area, near the now-vanished 14th c Guildhall was full of hostelries, and it may be in this area where Richard of Gloucester and the Duke of Buckingham met Anthony Woodville and found he had not brought young Edward V with him as agreed. His excuse was that the town might be too crowded with so many men arriving, but this was a poor excuse as Northampton had held parliaments; his words would have aroused immediate suspicion in the two Dukes. St Katherine: This chapel of ease in College Lane was built for prayers for the souls of plague victims (Northampton was heavily affected by the plague, which sent the town into steep decline…Richard III reduced the town’s fee farm in 1484 due to the hardship still experienced there.) St Katherine’s walls have gone but the churchyard with some flattened graves remains and retains a gloomy atmosphere. The college of All Saints, founded by Henry VI, once stood in this area too; not to be confused with the earlier Northampton College that once rivalled Oxford and Cambridge. Its licence however was revoked in the time of Henry III. Greyfriars: Largest and most lavish of Northampton’s monastic buildings, Greyfriars stood on the site of Greyfriars bus station, now also demolished. It had a church, two cloisters and a school. Humphrey Stafford, Duke of Buckingham, grandfather of Henry Stafford, was interred here after his death at the battle of Northampton in 1460. Several burials were discovered in 1972 excavations and occasionally surrounding roads have been known to collapse into hidden underground chambers. St John’s and St Thomas’s Hospitals: St John’s is a fine medieval building at the bottom of Bridge Street near the site of the old town walls, the only non-religious medieval structure still extant in Northampton. It is said some of the dead from the Battle of Northmpton were brought here. St Thomas’s Hospital, built in 1450 and dedicated to Thomas Becket, also stood nearby in a dilapidated condition till the Victorians destroyed it completely. One window at St John’s contains a male figure and the name Richard Sherd—he was master there in 1474. The Church of the Holy Sepulchre: Situated on Sheep Street, this church is one of only four round medieval churches in England. It was built by Simon de Senlis I after he went on Crusade and visited Jerusalem. Made in imitation of the Church of the Holy Sepulchre there, it is roughly half the size of the original. Other sites: St Giles is another remaining medieval church but has few notable features. At least 6 or 7 other churches and chapels existed, along with the smaller religious houses such as those of the Poor Clares and Friars of the Sack. A leper hospital, St Leonard’s, stood outside the main centre at Cotton End. Another major priory, St Andrews, stood on the far side of the castle near the river, and it was here Becket stayed while awaiting trial. Not one stone remains, although some buildings survived the Dissolution. Delapre Abbey and the site of the Battle of Northampton: Simon de Senlis built St Mary de la Pre, near Hardingstone, during the reign of King Stephen. It was the only house of Cluniac nuns in England. The body of Eleanor of Castile, wife of Edward I, rested at Delapre for a night and an Eleanor Cross still stands a little up the road, its top broken by lightning. The present building at Delapre is a more modern house but the lower floors follow the line of the nunnery cloisters, and there is at least one medieval door/staircase and a medieval stone lamp. In 1460 the Battle of Northamptom was fought in the nearby fields, a major battle of the Wars of the Roses. Here Edward Earl of March, along with the Earl of Warwick, faced the forces of Henry VI. Lord Grey of Ruthin betrayed his Lancastrian lords and allowed the Yorkists access to the enemy camp. The Duke of Buckingham, Lord Egremont, Lord Beaumont and the earl of Shrewbury were Lancastrian notables who died protecting the King’s tent. Other Lancastrians were driven back into the river and slain. Henry VI was captured, housed for the night in the abbey, then taken to the Tower of London. Some of the dead from the battle were probably interred in the abbey. Reading the new Richard III book by Chris Skidmore I came across a passage about the Holy Rood of Northampton and fascinated this might have been at St Gregory’s. It makes you realise what a large amount of significant historic buildings the town has lost.